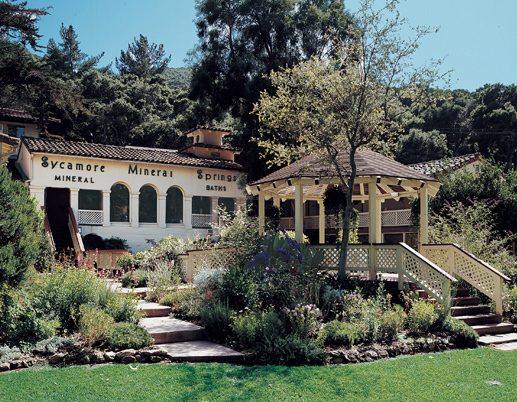 Sycamore Mineral Springs Resort has a legendary history reaching back to Spanish- and Mexican era, early American California, and the wild days of the Old West. In 1886 two weathered prospectors started drilling for "liquid gold." To their surprise they didn't find oil, but white-hot Sulphur mineral water. Because of the water's curative effects, the proprietors established a popular spa and mineral springs resort on the present location. In the early part of the 20th century, the Pacific Coast Railway – which stopped right across the street – brought travelers from Los Angeles and San Francisco on its stunning coastal route to this increasingly popular outpost on the Central Coast. A few years later in the 1930s, the word was out and many Hollywood celebrities started sojourning at the resort on their trips to Hearst Castle. About this same time, new owners renamed the property as Sycamore Mineral Springs Resort. They decided it should be a therapeutic center staffed by doctors and nurses. People journeyed far-and-wide for the mineral water treatments to "cure" their aches, pains, arthritis and other sundry ailments. 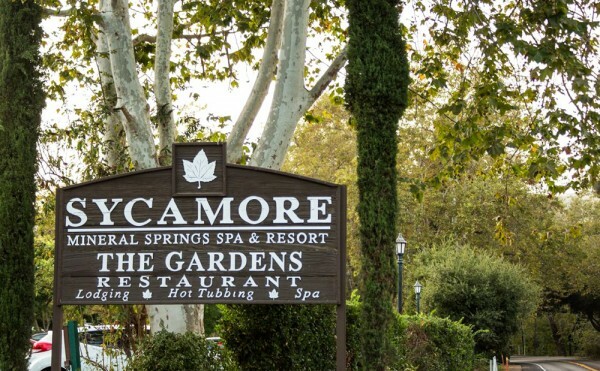 Some 40 years later in the mid-1970s there was considerable shift in focus, and Sycamore Mineral Springs once again became a destination resort. 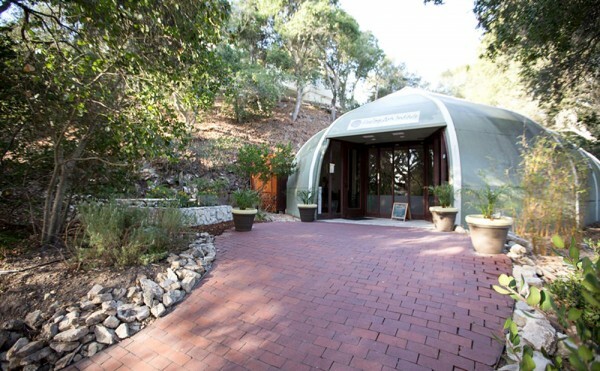 Boutique Hotel Collections, the current owner, purchased the property in 2003, with the commitment to establishing its legacy as an authentic and historic California mineral springs resort. 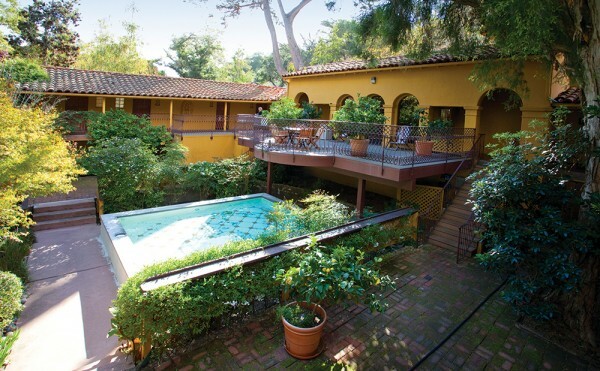 Our storied history, of course, is just one aspect of our property. 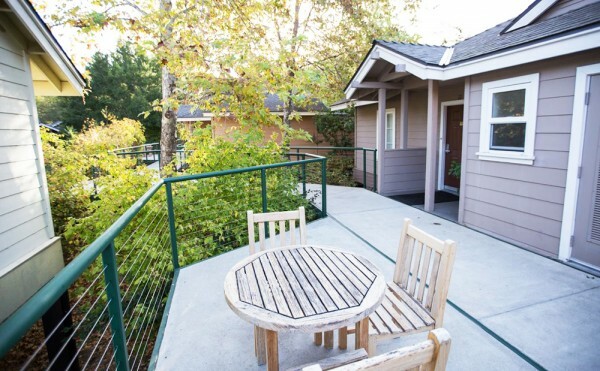 Sycamore Mineral Springs Resort rests atop hot mineral springs and spans more than 100 acres of forest, hills and meadows. Our historic resort is the ideal environment to refresh, renew and restore one's mind, body and spirit. Newer PostSpring has Sprung in SLO County and it’s WILD!